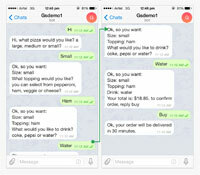 The Proxy bot can act as another bot upon user request. This is a particularly useful tool for bot developers in the testing phase. During the build and test phase of bot dev, a developer can instantly test the bot as if it is already live on channels like Slack, Facebook Messenger, Telegram, Skype etc, without having to actually publish the bot on this channels. 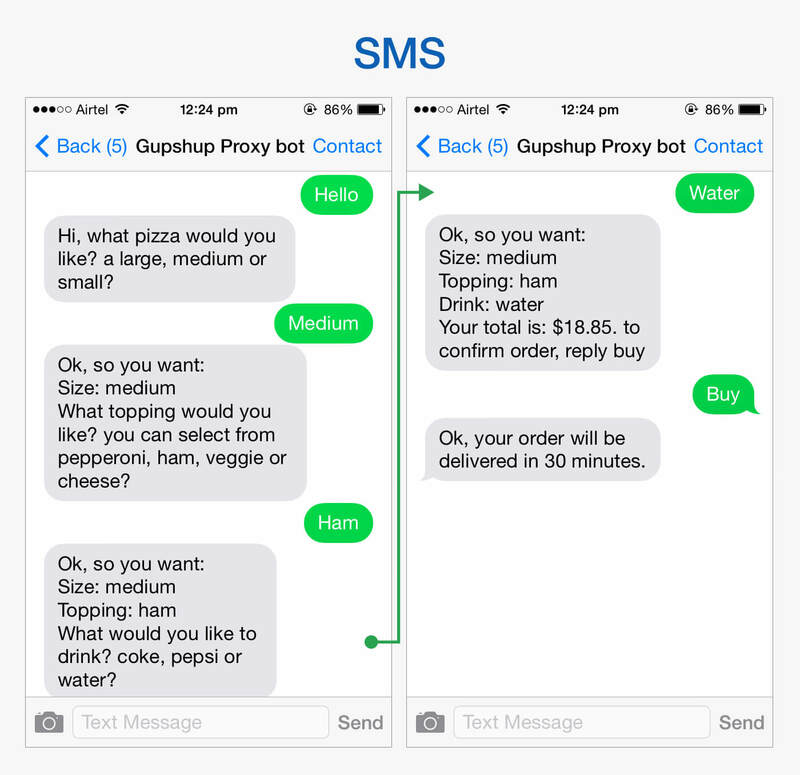 This dramatically increases the speed and efficiency of developing channels specific bots. 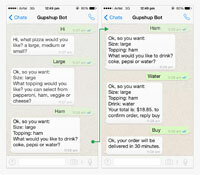 Note: Only bots built using the Gupshup bot-building platform can be tested with the Proxy Bot. +14084449311 - For US users. +447400093671 - For UK users. +34931071549 - For Spain users. +919223079906 - For India Users. Sign in with your slack login and select your org. You will find 'gupshupproxybot' member in your Direct Message list. When the bot responds, reply with 'Hi' or 'Help'. Create a HipChat Account for your proxy bot. At the bottom of the page select all the scope from the list and give a suitable Label and click Create. You will get the token. Note the token. Go to your org and click 'Edit Profile'. Under Account setting click 'XMPP/Jabber info', Note your Jabber ID. Invite the members in the org and interact with proxy bot p2p or in a group. 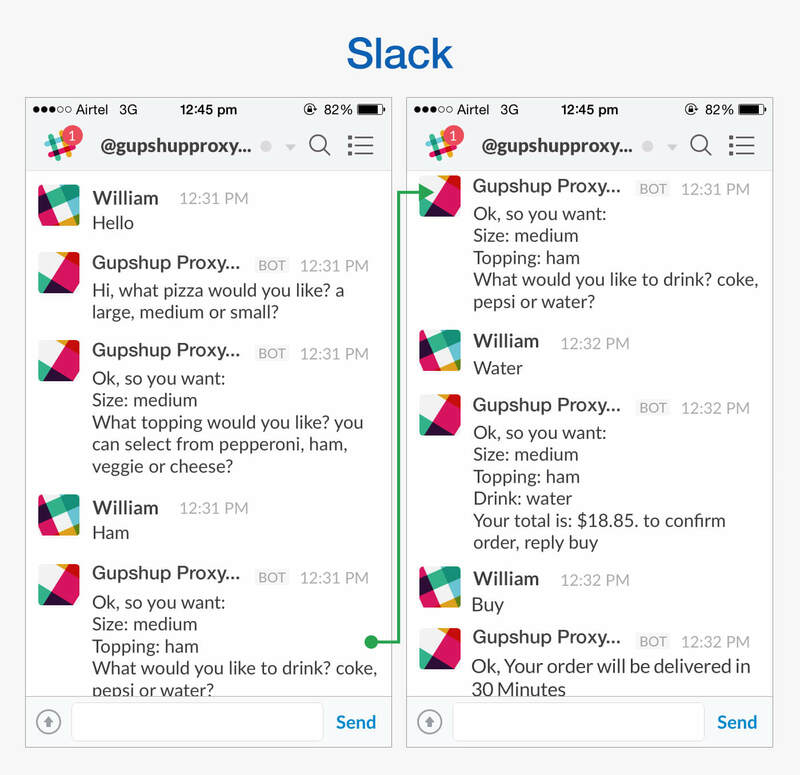 Click to add Gupshup Proxy bot in your contacts. 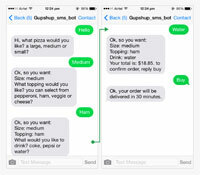 Once done, You can start interacting with the bot. 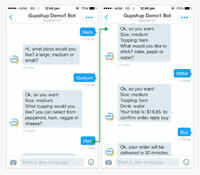 Get Started: Start a chat with the bot, or invite the bot to an existing chat. Use the bot email ID. The bot will introduce and explain itself. 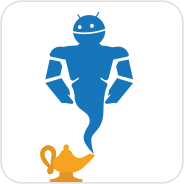 Invocation : "Ok Google, let me talk to Gupshup Proxy bot"
To test bots(agents) on Google Assistant say the invocation given above, followed by the command "Proxy <BotName>" to invoke your bot(agent). Send 'Proxy <botname>' message on 'Gupshup Proxy bot' channel. 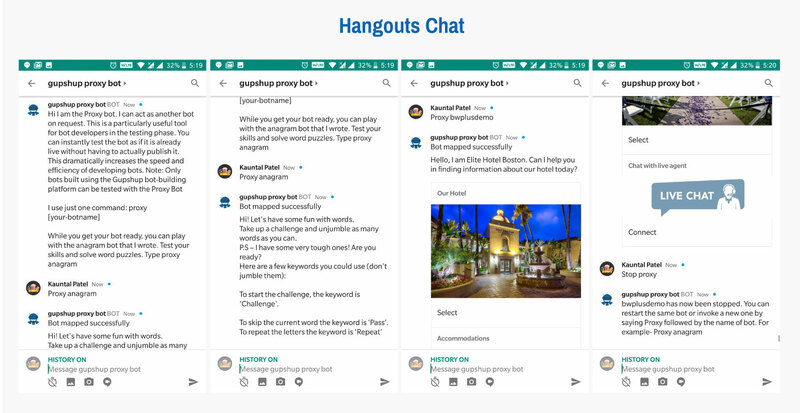 * In JioChat App, under 'Channels' search for 'Gupshup Proxy bot' and Follow to chat with it. Public Account: Gupshup Proxy bot. 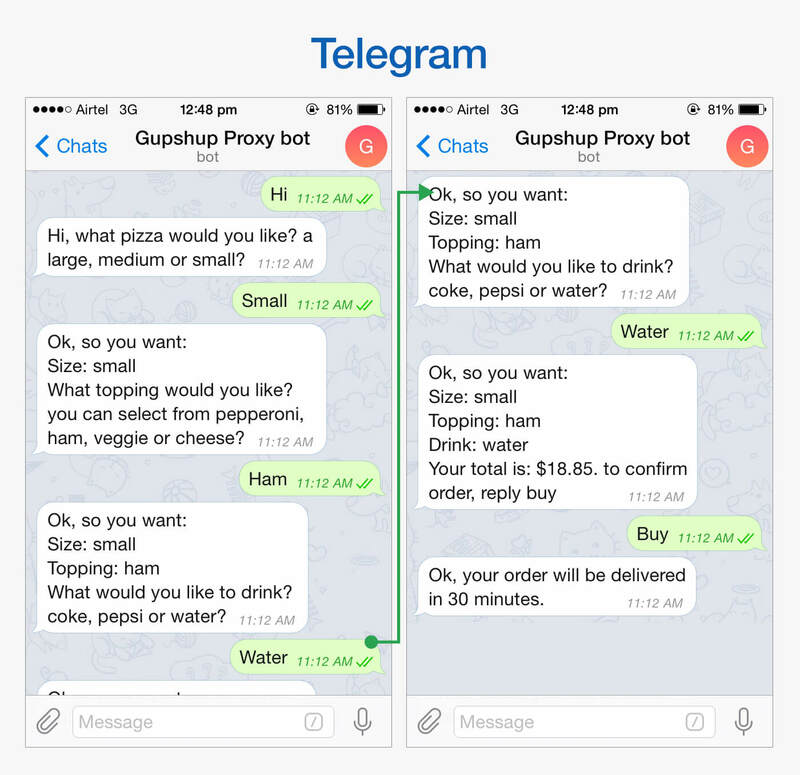 To chat P2P with Gupshup Proxy bot, You will have to follow this Public Account. 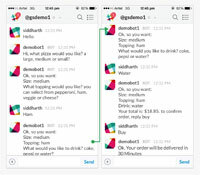 Get Started: Start a P2P chat with the bot, or invite the bot to an existing chat room. Use the bot name to search/mention the bot for P2P or Room chat. 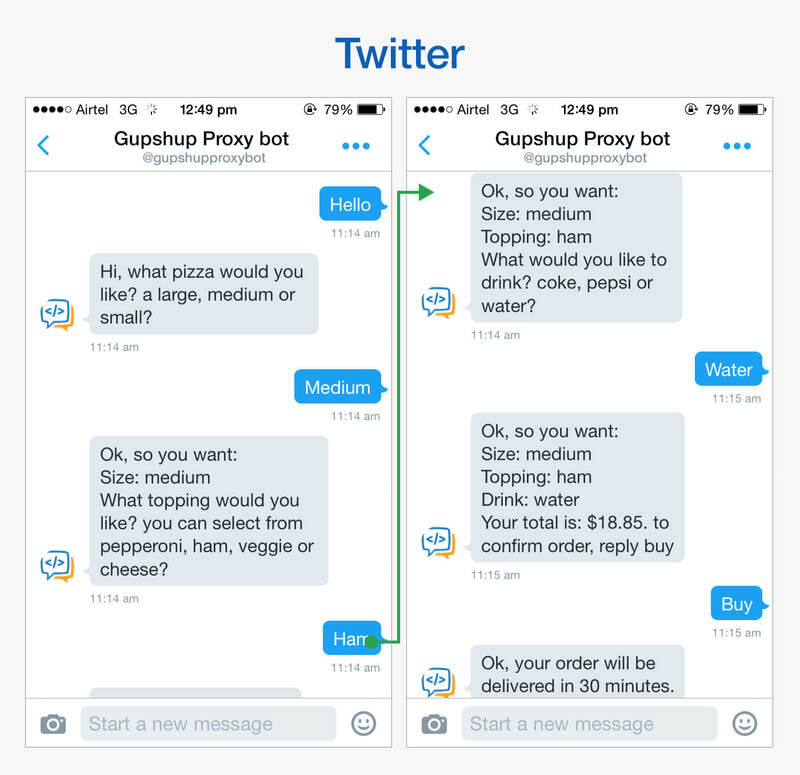 DM 'Proxy <botname>' to +919899066047 to test your bot using Gupshup proxy bot.